Episode 95 of the House of Comments podcast "Protest Movements and Protest Parties" is out. This week Nick Denys speaks to Christian May about the Ukrainian protests and Donna Edmunds, editor of Ukip Daily, about the political news and Ukip’s growing pains. Subjects covered include, raising the upper tax limit to 50p, Ukip’s appeal, Syrian refugees, and the treatment of women in politics. Episode 94 of the House of Comments podcast "Cash4Fracking" is out. I am joined by Labour activist and council candidate Claire Spencer and Ruth Porter of the centre-right think tank Policy Exchange to discuss Ed Miliband's banking reforms, Osborne's £7 minimum wage intervention, cash incentives to councils for fracking and the continuing fallout from the Lord Rennard case. Episode 92 of the House of Comments podcast "Down in the Flood" is out. Emma myself and our new third co-host Nick Denys discuss the newly released revelations about the miners' strike, the debate around Romanian and Bulgarian immigration, the recent floods and the politics of the Environment Agency and flood defences funding, the latest Lord Ashcroft "Mega Poll" and they make their political predictions for the coming year. "...there's a steady source of alternative power when normal political life breaks down – as at the last election, when Gordon Brown, the hermit of Downing Street, desperately tried to cling on even though he'd lost the election." That comment is about as far from the truth as it is possible to get. All the accounts I have read of those few days of negotiations back in 2010 (and that is a lot) show that he played his constitutional role correctly and as soon as it was clear the game was up, Brown wanted to go. If anything the opposite of what Mount says is true. Cameron and Clegg actually wanted more time to cement their deal but Brown had had enough and went to the Palace to resign. Clegg is on record as trying to dissuade him from resigning so quickly in their final phone call. Lord knows there's enough to attack Brown for. There's simply no need to make stuff up Harry. The antidote to highly partisan politics? 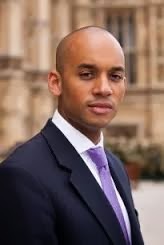 When I hear the term "tribalism" one of the first names that generally pops into my head is the Shadow Business Secretary, Labour's Chuka Umunna. He's usually ready with a pre-prepared attack on the government or the Tories or the Lib Dems separately and is never afraid to be partial, often leaving out crucial information that would highlight problems or hypocrisy in his own party. Fair enough you may think. He is after all a front-bencher and an aspiring future leader of his party. But hold on a minute. Chuka has just penned a piece for The Guardian claiming that people are "turned off by tribal politics" and that "this has to change". Shall we see how he got on suppressing his own tribal instincts? Asked for the word best describing "how or what you instinctively feel" about politics and politicians, 47% of respondents answered "angry", against 25% who said "bored" in the Guardian/ICM poll on voter apathy last month. I've never bought the argument that people are apathetic about politics. Take Tulse Hill, the most deprived ward in my south London constituency, Streatham. At the 2010 general election, there were turnouts of more than 70% in some polling districts there. Because local elections and the general election took place on the same day, some constituents in the ward had to wait over half an hour to vote, but wait they did. Fair point. This also happened in other constituencies and there was an outcry (largely forgotten now) on polling day as some people were turned away. He's right to address this. An auspicious start. Since then, from the protests over the tripling of tuition fees in the autumn of 2010, through to the "March for the Alternative" in 2011 – which attracted hundreds of thousands of people from all walks of life – we have witnessed political engagement on a scale not seen for years. However, increasingly, people find party politics a turnoff. When they hear us in the House of Commons or on the TV, they increasingly reach for the remote. Party politics is in crisis. This is less promising. There is nothing incorrect in what he says here but it is very, very partial. Yes there have been protests against coalition government policy but I would question his assertion that "we have witnessed political engagement on a scale not seen for years". It depends how many years and I am guessing Chuka is cutting it off at 10. Because if we go back 11 years to 2003 when the Labour government was at its most powerful we saw the largest street protests in this country's history against the Iraq War. And the idea that it is only since May 2010 that people have been turned off by party politics and the behaviour of MPs in the House of Commons is laughable. This has been going on and getting progressively worse for decades. The reasons for this disconnect between party politics and those in whose name politics plays out are varied. The ridiculously adversarial way in which debate is sometimes conducted is a primary contributor, in my view. To contest ideas on what is best for our country is essential in a healthy democracy. But, in an age when people are less tribal and do not identify with political parties as strongly as they once did, those we represent are thoroughly fed up with the tribal, yah-boo nature of so much of what passes for political debate. Save for a welcome renaissance in our select committees, parliament's culture of political combat has changed little since the past century, while the world outside has changed. We urgently need to move with the times, too. Though I am probably guilty of indulging in excessive tribalism myself at times, I try to put partisanship to one side where appropriate. Lord Heseltine is a Conservative peer – but that hasn't stopped me publicly praising his pursuit of industrial activism over the decades. I acknowledge when my Liberal Democrat opposite number, Vince Cable, does the right thing (it was he who rightly insisted that an Independent Commission on Banking be established), as well as point out when he and his colleagues get things wrong (dismantling the regional development agencies, for example). This is more like it. Although the only Tory he is willing to praise has long since left front-line politics of course. For businesses, this is particularly important: they are as interested in the areas where we agree as in those where we disagree, because consensus reduces risk and gives them confidence to invest for the long term, safe in the knowledge that not all the goalposts will move if the government changes. Many in businesses have told me that short-term political considerations risk standing in the way of the long-term investment. So, as Ed Balls has said, it is for this reason that we would, if elected, set up an independent infrastructure commission to end dither and delay, and to build cross-party consensus on big infrastructure projects that are, by their nature, multiple-parliament endeavours. It is far from just Ed Balls who has tried to do this of course. For example the government is trying to get cross-party support for HS2 and Labour has been unwilling to commit to this for the long term. This may be fair enough if they genuinely have a problem with it, but it was their project in the first place and is a classic example of the problem Chuka is referring to. No mention of it though, just praise for Ed Balls. Also, in a world that is less deferential, people resent policies being imposed on them from Westminster – communities want to be empowered to do things for themselves. We made a good start in office with devolution in London, Scotland, Wales and Northern Ireland, with regional development agencies across England, to push power down and out. This is an unfinished project. To read this you'd think that the only party that has devolved power is Labour. What about Police Commissioners? Labour opposed them. What about the attempt to devolve power within the NHS and for schools? Again Labour opposes these changes. He's trying to have his cake and eat it. But it is not only our political culture and institutions that must adapt. No party that claims to want to reconnect politics with people can expect to be taken seriously if it is not prepared to take a long, hard look in the mirror and accept that it must change, too. This is ultimately what Ed Miliband's proposed reforms of the Labour party are about. Just Labour. No mention of what other parties have done. Political parties – which too often operate like closed circles – must open up. It is why Ed is absolutely right to propose that Labour picks its next London mayoral candidate by way of a primary, in which any Londoner would be eligible to vote, provided that they register as a supporter of the Labour party. The French Socialists picked up their presidential candidate this way in October 2011 – more than 2.8 million French citizens took part, paying €1 or more, raising crucial funds, increasing supporter activism and without compromising the standing of their party members. No mention of the open primaries and many open caucuses that the Conservative Party had before the 2010 election. Just praise for Ed Miliband for something that hasn't even happened yet rather than reaching out to praise something another party has already done to directly address what he is asking for. Rebuilding party membership is vital. The Conservative party's membership has reportedly halved under David Cameron to 134,000. Labour's membership has increased substantially since 2010 to around 190,000, but the long-term trend has been in the other direction. That's why Ed is determined we become a mass movement once again. Every party loses members in office as they have to take "tough decisions". So highlighting what has happened to the Conservative Party in office and contrasting with Labour in opposition is just tribalistic posturing. He gives an oblique nod to the long term trend but puts no figures on it so we can judge or contrast. I'll provide them though. Labour had over 400,000 members in 1997 so in the last 17 years its membership has more than halved. In fact more accurately it had halved by 2004 in only 7 years. Since then it went down further and has bounced back up a bit but is now still less than 200,000. Developing a more meaningful relationship with the 3 million working men and women who are members of the trade unions that sit inside the Labour family will give our party a head start in addressing this. It will open up our party and give working people a real choice and voice as individuals inside Labour. What Ed's package of party reforms will do is to update a party architecture constructed in the 20th century to make it fit for the 21st, better embedding our party in every community. I have happily given Ed Miliband credit for his decision to do this. But again there is no mention of any of the measures any of the other parties have taken or attempted to do to address the democratic deficit in this country. There is no mention of the AV referendum (which so many in his own party opposed), a change which would likely have reduced tribalism by encouraging candidates to reach out across party divides to try and get second and third preferences. No mention of how his own leader manouvered to stymie the reforms to the House of Lords which were trying to ensure it was largely elected. No mention of how so many of his own party's MPs are increasing drawn from a very narrow demographic. No mention of how the Labour leadership succession in 2007 was stitched up for Gordon Brown without even allowing the party members a meaningful choice (with the two Eds in the thick of this as Brown's two closest advisers). No mention of the many, many meetings that David Cameron and Nick Clegg have had in local meeting halls over the years to help reconnect with voters and revive this tradition. No mention of how so many in his own party (including him) have attacked coalition compromises precisely because they are compromises (as if coalition could ever have been anything else), pursuing a "betrayal" narrative thus undermining the whole notion of the very consensual politics he claims to want to see more of. Much more besides what I've described needs to happen if we are to reconnect people to political parties. Why does it matter? Why not let the main parties wither? Because I know of no better vehicle than the political party to enable those with common values to come together and reach a position on issues that can then be offered up as a choice of programmes for voters. If we are to remain relevant and do this more effectively, reform is not an option, it is a necessity. I agree. It's just that Labour's is not the only way to do it. Not that you'd realise this from this highly partial and partisan piece. Chuka Umunna has managed the remarkable feat here of writing a piece that supposedly rails against tribalism whilst simultaneously being highly tribalistic. If it wasn't so depressing I'd almost be impressed. Bruce Forsyth will retire and hence will not be a main host on Strictly Come Dancing 2013 (although he may pop in to say hello). Sort of half a point here really. He had several episodes off and I can't imagine it's too long before he properly leaves. Chris Huhne will return to the cabinet. Very much un-ding. Someone with a blog on the Lib Dem Blogs aggregator who has never been a parliamentarian will be enobled. As far as I know this has not happened although I am happy to be corrected if I missed someone*. The Universal Credit will be delayed and eventually abandoned (this bit may happen next year) due to too many technical problems. IDS will resign when this finally happens. I'm claiming this one. It is clear that the project has failed it's just taking a very long time to put it out of its misery and they're managing it in such a way as IDS can save face and not resign. We will manage to get a government minister on as a guest on the House of Comments Podcast. Didn't manage this although a couple of them were approached. Maybe this year. One of either Mark Pack or Stephen Tall from off of Lib Dem Voice will appear on BBC's Question Time. This sadly did not happen. It's surely only a matter of time though as they are both strong media performers. Although I would suggest in the run up to the Scottish independence referendum they should get Caron Lindsay on. For four years now I have predicted that Eddie Mair will become the main presenter of Question Time. But as Dimbleby_D still shows no signs of going anywhere any time soon I'm going to change this one. Mr Mair showed his mettle as a stand-in presenter on Newsnight during the Savile crisis so I now predict he will become a regular presenter on Newsnight when it is revamped this year. This did not happen but Paxman seems to me to be in the ante room now so Mair is probably in prime position to take over this year. All around my hat I will wear the green willow, and all around my hat for a twelve month and a day. As we are still less than a twelve month (and a day) since I made this prediction I cannot yet reveal whether I managed it. So 3.5 (and that's being generous to myself) out of 10. I'll just have to hope I do better with my 2014 predictions which I will post soon. *UPDATE: Turns out I was actually right. Olly Grender was enobled in 2013 and her New Statesman blog was on the aggregator. So I got 4.5 out of 10! Thanks to Stephen Tall and Ryan Cullen for spotting and confirming this respectively.